European Commission President Jean-Claude Juncker has angered Euroskeptics by insisting he has “no plan B” in the event of a Brexit and by claiming he cannot “seriously envisage” Britain leaving the EU. 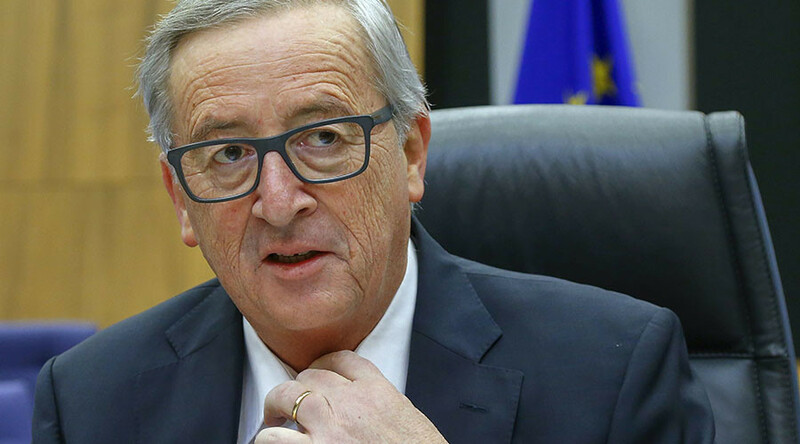 Speaking in Brussels on Wednesday, Juncker suggested that having a ‘plan B’ would indicate that the European Commission considered an ‘Out’ vote a serious possibility. “If I would say now that we have a plan B, this would indicate a kind of willingness of the Commission to envisage seriously that Britain could leave the European Union,” Juncker said. Official forecasts by European Commission economists do not take into account the possible impact of a Brexit, instead assuming the status quo will continue. However, reports have stated that officials at the European Political Strategy Centre (EPSC), an in-house EU think tank, began discussing the impact of a Brexit before Christmas – claims which the EPSC denies. “Many British people certainly do have another plan,” he added. Juncker’s comments came as four European states dealt a severe blow to Prime Minister David Cameron’s hopes of achieving meaningful concessions from the EU. Poland, Slovakia, Hungary and the Czech Republic all rejected Cameron’s proposals to curb child benefits for their migrant workers in western Europe. Belgium, France, Hungary and Spain have drawn up proposals to water down EU negotiations, according to documents seen by the Telegraph. The plans are said to limit benefit curbs to newly-arrived migrants and weaken a mechanism sought by George Osborne to prevent Eurozone countries from ganging up on London’s financial center.